On this picture the entire orbital module is covered with the black blankets. Note that the 4 omnidirectional antennas are covered with white tissue paper. 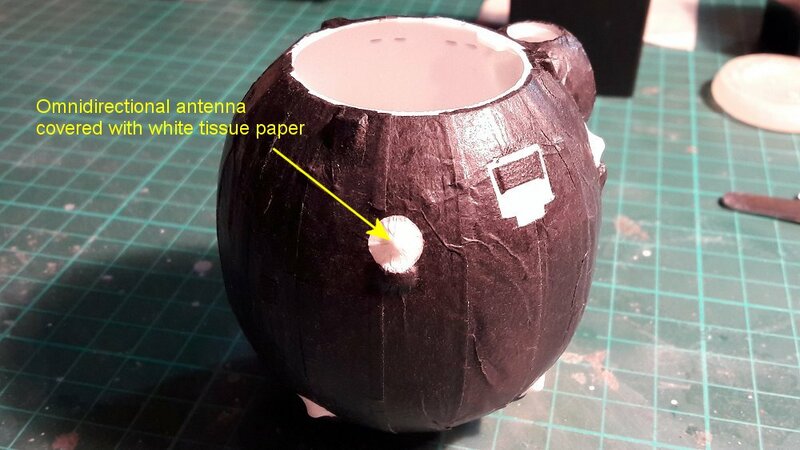 To make sure the area around the antennas is round and white, the white tissue paper is painted in white in such a way any remaining black paper underneath is barely visible.